Space can be tight when adding a new baby to your growing family. Many parents choose to bunk baby with the big brother- or sister-to-be. 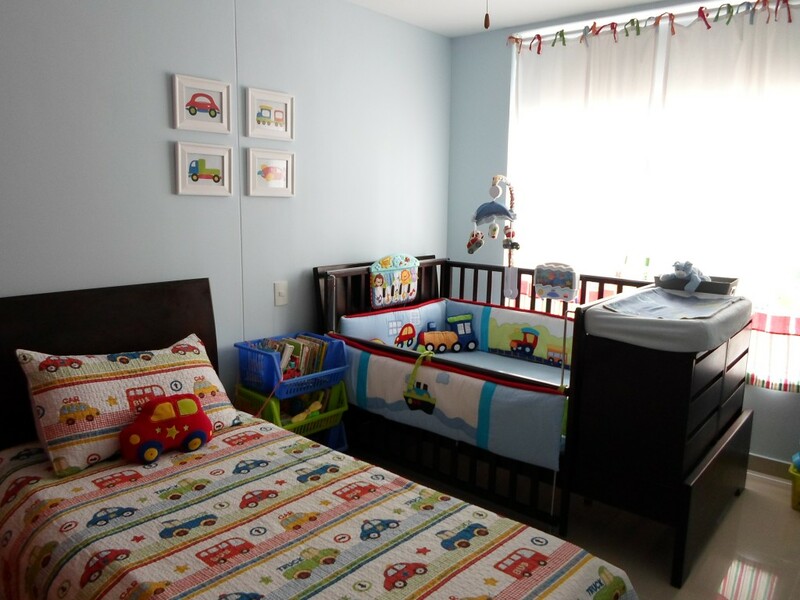 Here are some examples we pulled from the project gallery of baby and sibling shared rooms. Do you plan on moving your new baby in with your older child? I think sharing rooms is convenient for everyone, especially the parents. And this is very ideal for babies and toddlers very near in age, because both are still very needy of their parents at nights. I agree. And the good thing about it is that little kids sleep deeply and don’t get easily bothered by noise. So even when the baby cries, little big sis or little big bro wouldn’t even know. I can’t wait till they’re older and have adventures together in their room! I have always been a long-term kind of person. I always design or plan a room with the thought that it’s going to stay that way for a long time. So if the baby and the older kid are both boys or both girls, I can make it work, because most probably, they’d be sharing a room for a very long time. But I do not know how to go about this kind of arrangement if they’re a boy and a girl. The greatest thing about shared rooms is that I think it makes parents more secure about having their kids sleep together in one place. it’s really that simple for me. I love the last room! but that’s just based on the photos I see on this page. I haven’t really opened the links to each room yet.